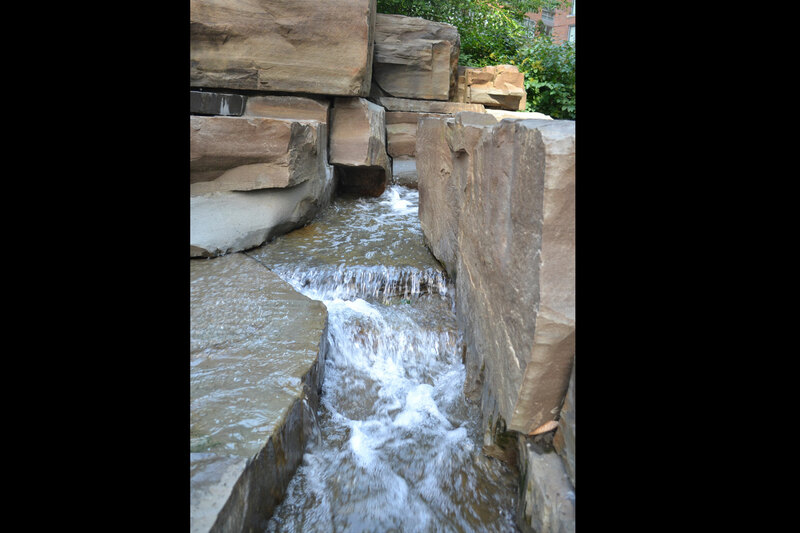 Teardrop Park South has two major water features, a scrim fountain and a cascading water stream. 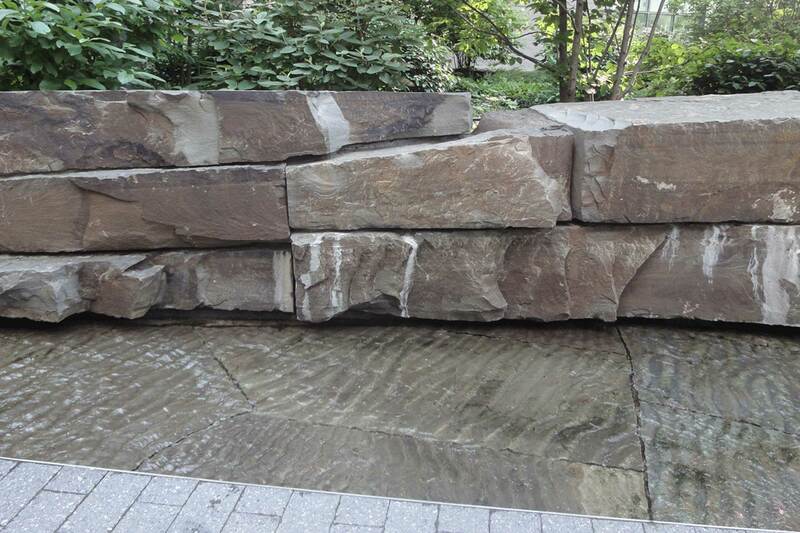 The natural rock is heavily incorporated into these New York City Fountains. 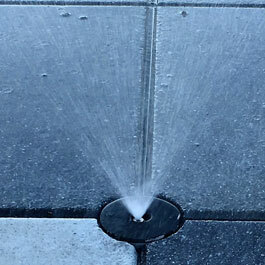 Delta Fountains created a public-safe non-linear trough design. 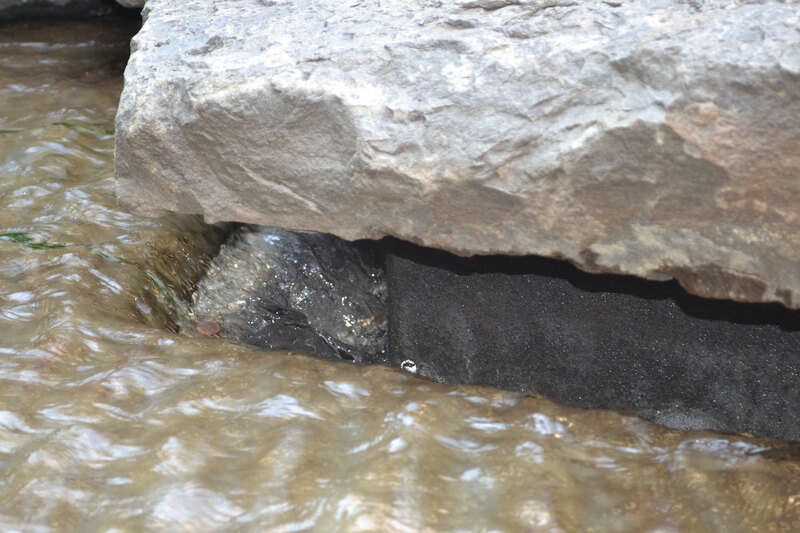 The trough blends with the natural rock and prevents injury. DesignMichael Van Valkenburgh Associates, Inc.
Teardrop Park South is located in lower Manhattan. Designed to “counter nature-deficit disorder by providing open-ended nature play for an estimated 200,000 children a year,” Teardrop Park is one of the most environmentally friendly parks in New York. 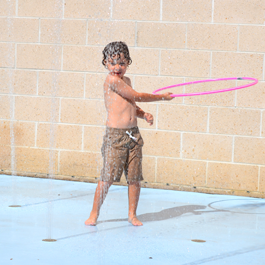 The park brings together greenspace, water features, and play areas to encourage visitors of all ages to enjoy natural elements in the midst of a concrete jungle. 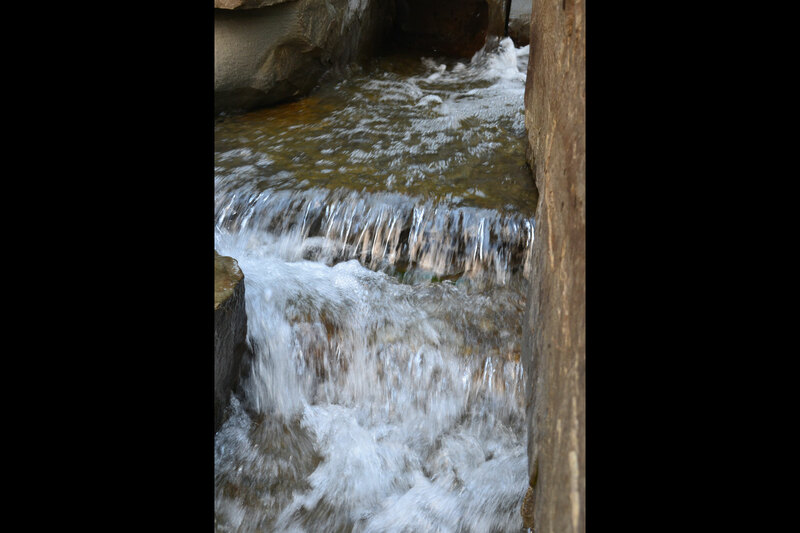 It was created from many recycled materials and built to capture storm water for use in the planted areas of the park. 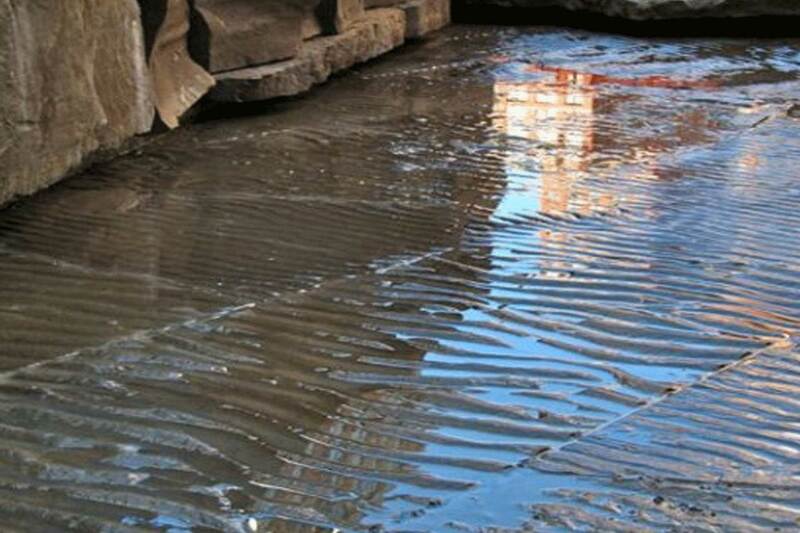 While these water features are not meant to be interactive, the rocks are often used by lounging park-goers and solitary-seeking students. 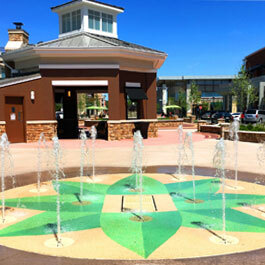 Delta Fountains provided equipment for both of the water features in the south-end of the park, across Murray Street from the original installation. 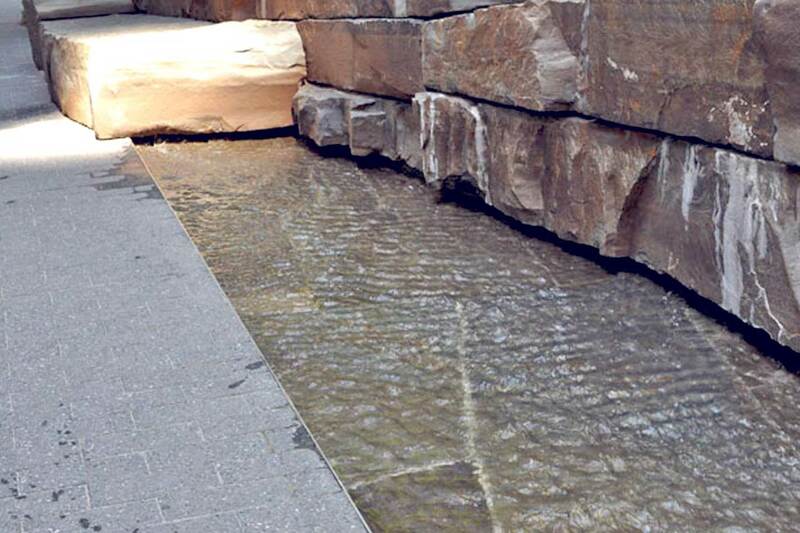 Both fountains feature naturalistic rock elements and flowing water. 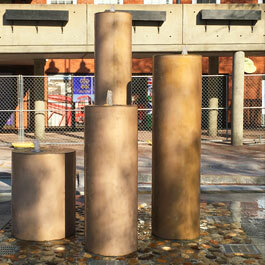 While one fountain resembles a small cascading rapid, the other is a textured scrim feature. 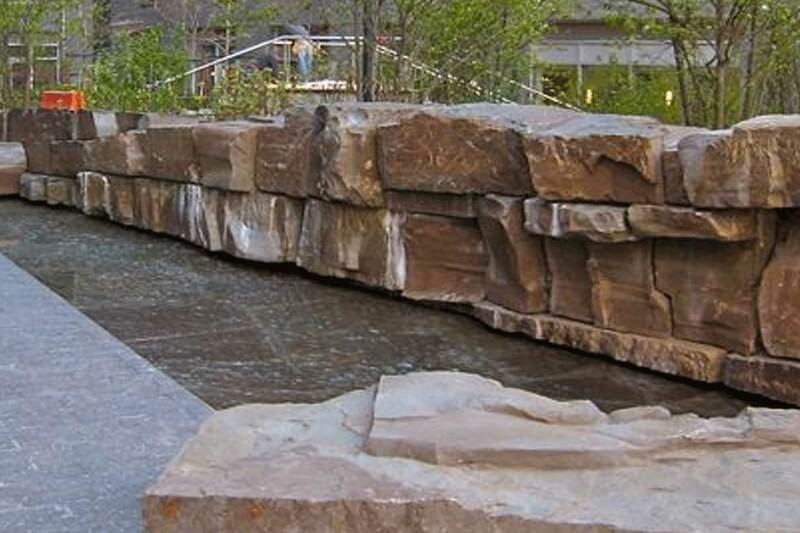 The scrim feature required Delta Fountains’ designers to create a non-linear Z-trough to match the naturalistic rock on either end of the scrim feature. The trough was built to be safe for any fingers or feet that may come in contact with the open areas.